This report describes the outcomes of a large group process workshop held in Edinburgh, Scotland on 24 September 2011. The one-day workshop was designed to investigate Scottish citizens’ perspectives on climate change and low-carbon energy technologies, with a particular focus on carbon dioxide capture and storage (CCS). The report presents the large group process methodology and the results, both from questionnaire answers and discussions during the workshop. 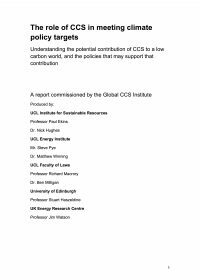 The key findings of the report reflect a mixed range of public opinions with regard to climate change, low-carbon energy and CCS. 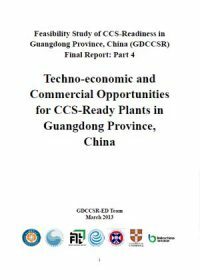 The study, commissioned on behalf of the Global CCS Institute by the Commonwealth Scientific and Industrial Research Organisation (CSIRO) in Australia, replicates a number of large group process workshops held in Australia by CSIRO.